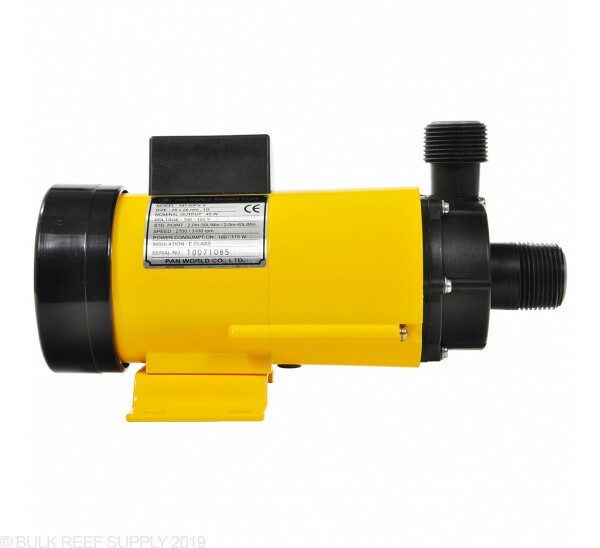 Reliable external pump at an economical price. Compact, quiet, and efficient. Pan World makes a good quality, low to medium flow, seal-free centrifugal pump engineered for high performance and trouble-free operation. All Pan World pumps feature magnetic drives, seal free bearings and come with a two year parts and labor guarantee. ATTENTION: Maintain the life of your pump. 99% of all pump failures and broken impellers are caused by foreign objects (snails, sand, gravel, hermit crabs, etc.) entering the pump housing. 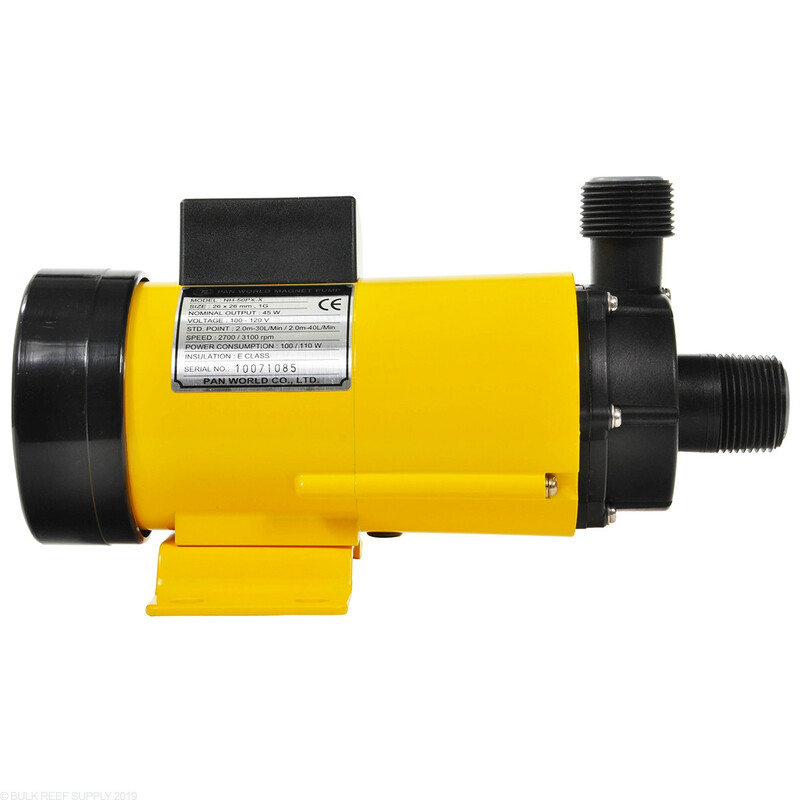 Pumps damaged by foreign objects are NOT covered under any warranty and are expensive to fix or replace. To prevent damage to your pump, we suggest using a bulkhead strainer on the intake bulkhead to reduce the possibility of a foreign object entering the pump. A variety of strainers from 1/2” to 2” are available at BulkReefSupply.com.